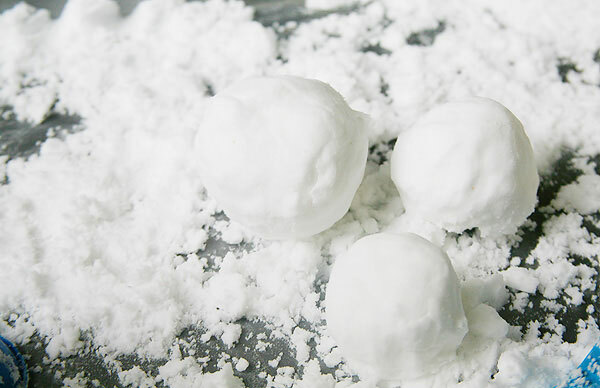 The New Year is just around the corner and whether you and your children stay up until the stroke of midnight to ring in the new year or you celebrate at the stroke of noon instead, here is a roundup of the best crafts to celebrate bringing in 2013 with your children. 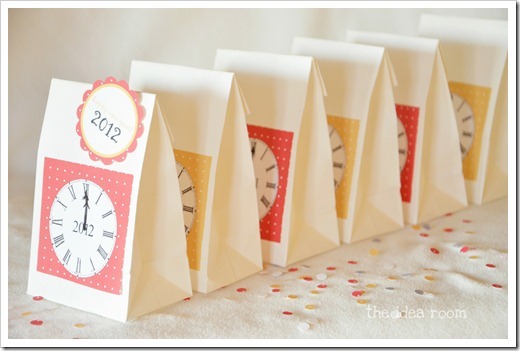 I love these Countdown Bags from The Idea Room. 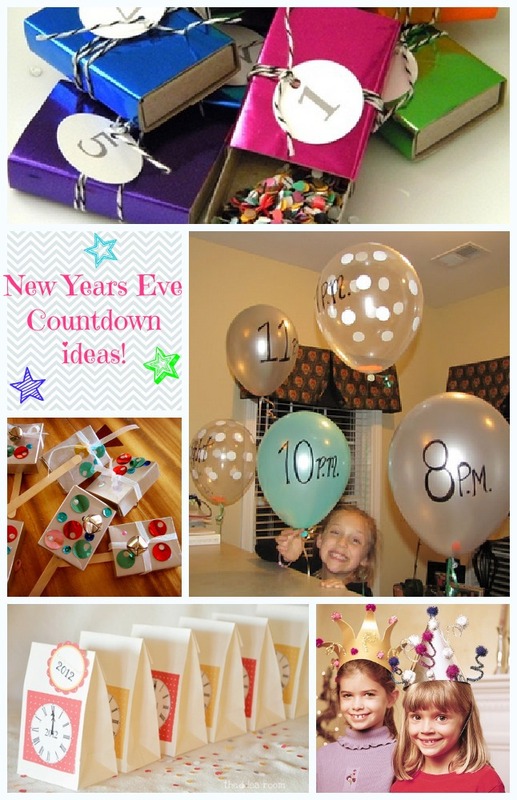 No New Year’s Eve would be complete without fun ways to count down the hours until the stroke of midnight (or noon).A bag filled with a fun activity or idea to open every hour, sounds like a blast to me and I bet the kids would love activities like “dance in the kitchen” or “make cookies”! 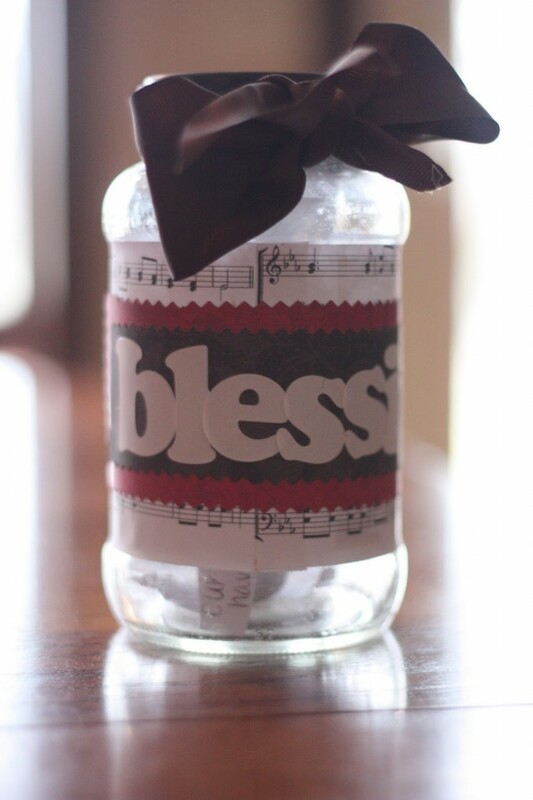 Blessings Jar from I Can Teach My Child is wonderfully sweet and thoughtful. I absolutely adore the thought of my children gathering what they are thankful and blessed for all throughout the year, then on New Years Eve sitting as a family and “counting our blessings” together. 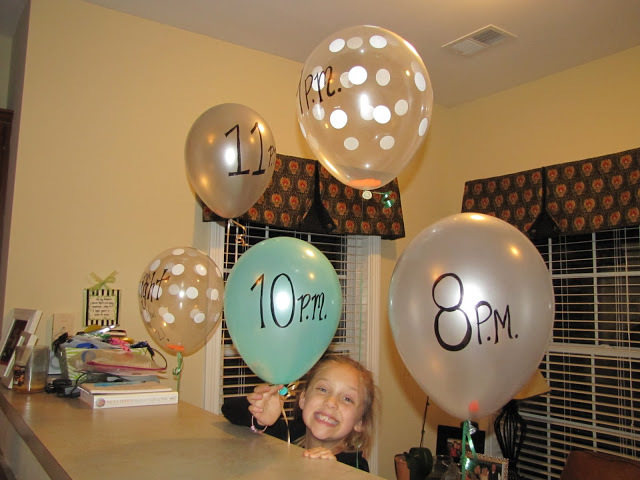 The Balloon Pop Countdown from Real Life, Real Estate, Real Dana is something I am positive my kids would go crazy for. You can fill the Balloon’s with notes containing fun activities like “have a confetti party” and “jump on your moms bed”. First Night Hats from Spoonful While you’re waiting for the New Year, you can help your kids make these adorable and festive. 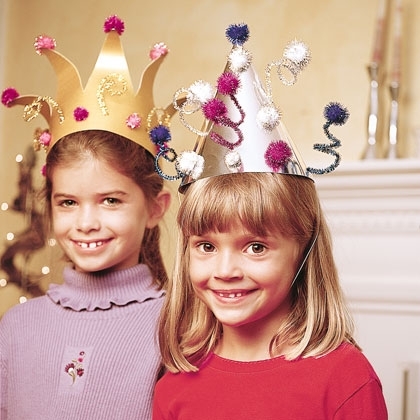 Let your children’s imagination run wild as they create and decorate their own special hats to wear! Once the magic hour sets, it’s time to celebrate! 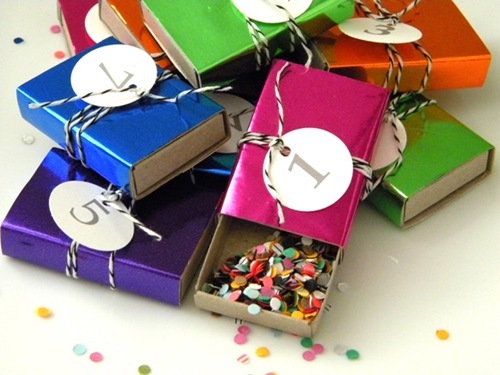 These Matchbox Confetti Boxes from Homework Today’s Assignment: Be Inspired may be messy but will certainly bring loads of treasured memories for your children. You can make a bunch to throw at the stroke of midnight or you can do one each hour as a countdown; the amount of confetti mess is up to you! 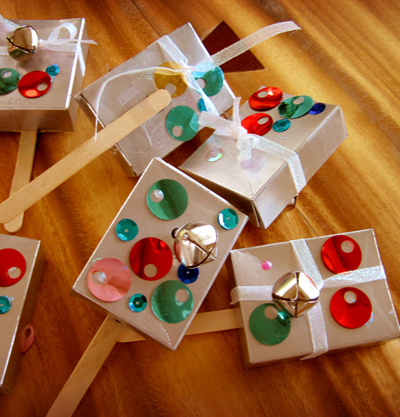 Noisy NoiseMakers from Alphamom are the perfect way to ring in the New Year. Made of empty raisin boxes, your kids will have a blast making them! I’m looking forward to the New Year and whatever 2013 holds. Happy New Year Savvy Sassy Moms! 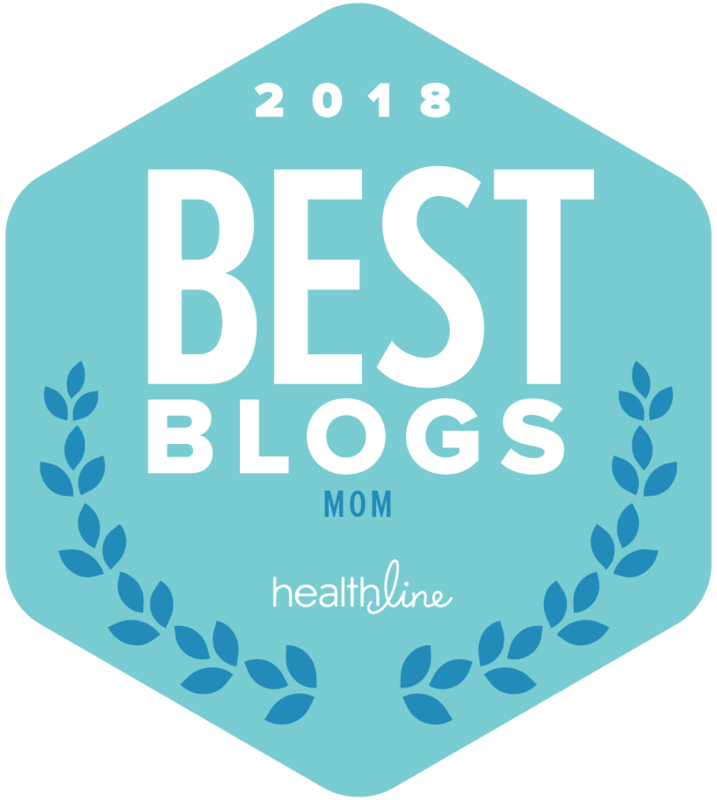 Desiree Eaglin is a photojournalist of things, a writer of sorts, a momtographer of every day life and a funny mom of 4. She resides in Southern California. You can follow her daily adventures on Twitter and Instagram (@DesireeEaglin).